I haven't been paying close enough attention to know where this 5 minute blog posting thing came from, but as someone who spends about 5 minutes on the majority of his posts, it's not much of a challenge. 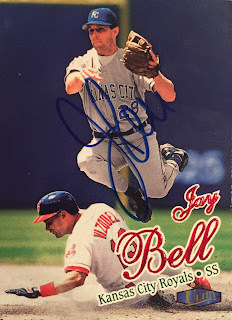 Here's a TTM success from former big leaguer Jay Bell. He's now an up-and-coming manager in the minors, as he spent this year guiding AA Trenton. Many seem to think he'll be a Big League manager some day. I've never seen him manage, but there's enough chirping to realize he's legit. He signed three cards for me. 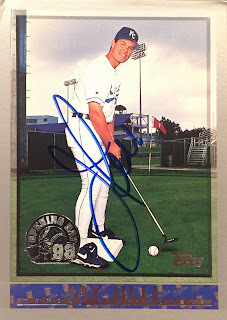 I made sure one of the cards was NOT a Diamondbacks card since he was on that 2001 team. I sent these in May and got them back last week. Thanks, Mr. Bell! 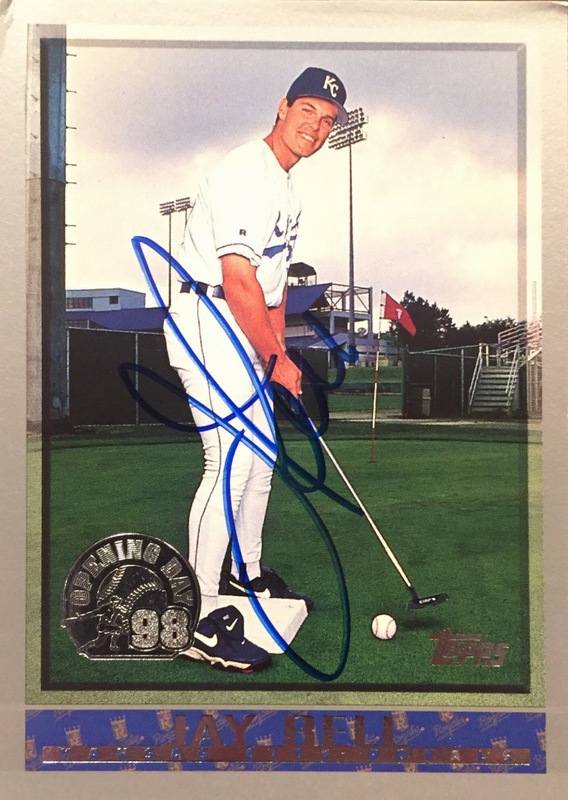 I dig that '98 Opening Day card! After suffering through the Pirates and Royals teams of the 90s, I'm kind of glad that Jay Bell got his chance to play for a winning team. Just wish it had been a different winning team, you know. The majority of your posts are 5 minute posts? I've gotta get my blogging game down like yours. I spend way too much time writing and editing... and that doesn't include scanning. P.S. 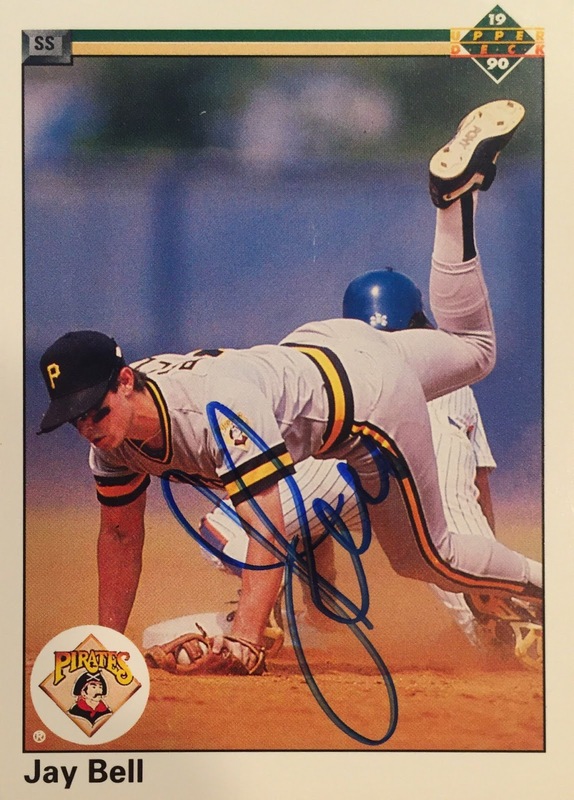 Congratulations on the nice TTM's from Bell. Well, to be far yours are far more substantial than mine. Mine are usually just "hey, look at this, ok bye." Can't say that I remember seeing that Jay Bell card featuring him putting a baseball, but I like it. Nicely done on the TTM success. If I could get all my blog posts down to 5 minutes, I'd have no excuse not to post every day.